Merry Christmas Everyone! Unfortunately I'm going to have to cut this post short. I'd love to tell you all about my holiday rendezvous, but it shall have to wait for another time. 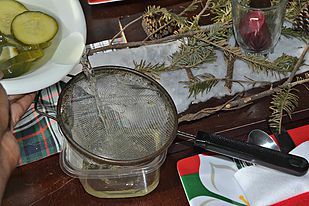 Today I'm giving you guys a quick tutorial on something I gave my friends this year as Christmas gifts! As the weather cools down, our skin tends to dry up - here we're combining the cooling properties of cucumber & healing benefits of vitamin e for this DIY Cucumber & Lime face mist! Guaranteed to hydrate & refresh. 1. 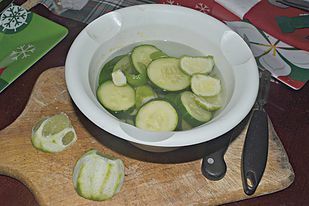 Add cucumber & lime peels to a bowl, fill with boiling water & let sit overnight. 2. 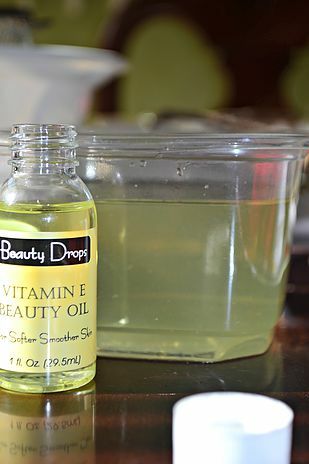 Strain, add vitamin e liquid. 3. Funnel into spray bottle. (I used a coffee filter for a funnel, since we don't have one). I hope you guys enjoyed this little tutorial and I hope you try it for yourself or a friend (share the love right? It's Christmas!) I tried it on my face, after washing, and my skin felt so soft and clean! 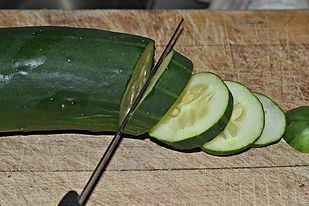 The cucumber really is refreshing and the Vitamin E keeps my skin hydrated for hours! Tomorrow, I'll share a quick and easy Christmas recipe for when your relatives tell you last minute that you're in charge of dessert!